Karin Schaefer. 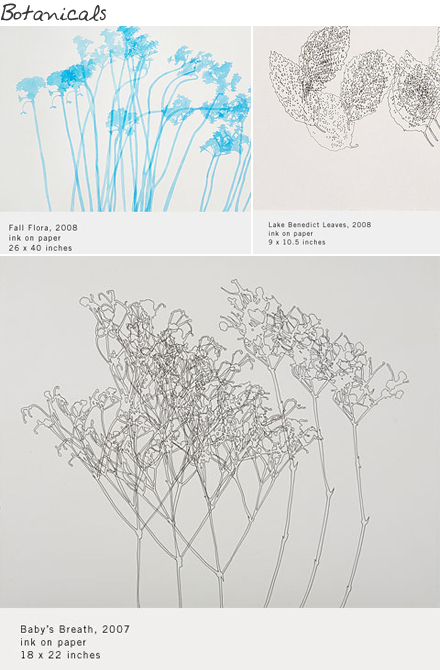 Here's a very small selection of Karin's work from three different series. Please be sure to click through to her site to see larger photos and to view full collections. 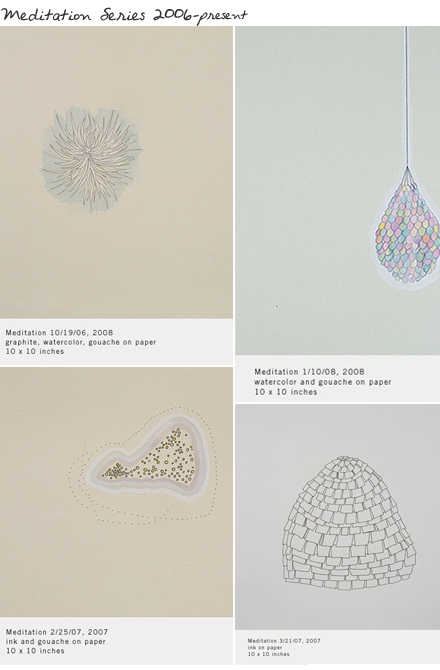 I enjoyed viewing all three, but found myself drawn to her latest series Meditation. I could almost imagine how these shapes and structures come to life in the artist's mind. It's interesting to see the more solid structures mixed in with the soft hazy colors - to me, the melding of the two seems to represent the act of silencing the mind & thoughts. "These drawings are rooted in concrete perceptual experience while simultaneously formally inhabiting the world of abstraction." "The Botanical series is comprised of drawings and paintings that map the temporal, the ever-changing movement of nature." 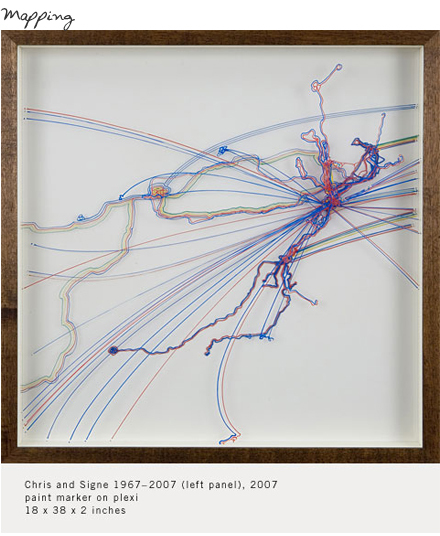 "This body of work explores the power of place by investigating social and cultural landscapes and points of access Elaborate mapping systems expose ideas of cultural landscape and social play." i love the blue ink- fall flora!